A1 Mountain Realty in Ashe County NC is the place to go if you’re looking for a dedicated Ashe County NC Realtor. A1 Mountain Realty specializes in Ashe County NC Real Estate as well as Real Estate Jefferson NC and Homes for Sale West Jefferson NC. Ashe County Real Estate for Sale is quickly turning into some of the most desired property in the area. 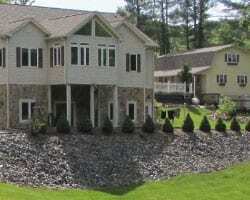 With sprawling acreage and stunning construction, Ashe County Real Estate may be exactly what you’re looking for. If you’re planning to retire or to relocate your family, or even looking for a vacation property to turn into a comfortable second home, A1 Mountain Realty is a one-stop Ashe County NC Realty company that can help you with all of these needs. Ashe County NC is home to two of the most charming and untouched towns in the region. 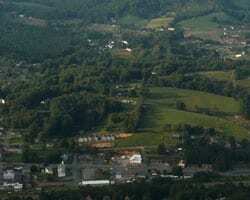 West Jefferson North Carolina and Jefferson NC maintain the charms of a small mountain town. A1 Mountain Realty has the best West Jefferson NC Real Estate Agents who can help you find your dream West Jefferson NC Home. Your West Jefferson North Carolina home will be just minutes from delicious restaurants, quaint antique stores, and an exciting downtown which is home to annual festivals and one-of-a-kind shops. A1 Mountain Realty is home to the Ashe County NC Realtor with the finest real estate offerings you will find in Jefferson NC. Real Estate Jefferson NC is close to outdoor adventure, sprawling farmlands, and a true sense of peace and serenity. Jefferson NC Real Estate is country living at its finest and remains close to all the city amenities you will need. Area shops and eateries will keep you entertained by day, and by night you can return to your Ashe NC Mountain Real Estate escape. Rest assured, with the help of A1 Mountain Realty you will have no trouble locating the Ashe County Treasure you’ve been dreaming of. A1 Realty in Ashe County North Carolina has the most to offer when it comes to West Jefferson NC Homes, Ashe County NC Real Estate, and Real Estate Jefferson NC. The experienced and dedicated West Jefferson NC Real Estate Agents at A1 Mountain Realty will stop at nothing to help you secure your dream piece of Ashe County Real Estate. If you want a piece of untouched land to build your West Jefferson NC Home or if you want to turn existing construction into your family’s dream home, A1 Mountain Realty is the expert Ashe County NC Realty firm and will turn your ideas into a reality.